If you’re feeling tricksy and you’ve got some time to kill, why not give yourself a giggle? 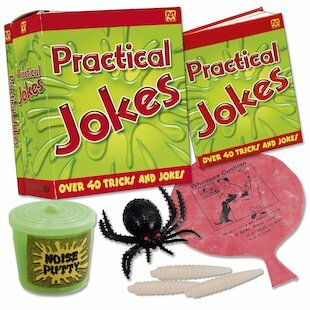 This cheeky little box is stuffed with naughty pranks and horrid tricks to leave you chuckling like a loon! 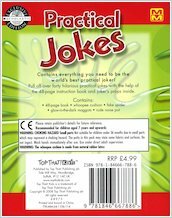 Whether you’re making your friends blush with fake rude noises or freaking out your family with a gross maggot attack, there’s loads of stuff in here to make others groan with horror – while you groan with laughter! All the classic pranks – plus some new ones! 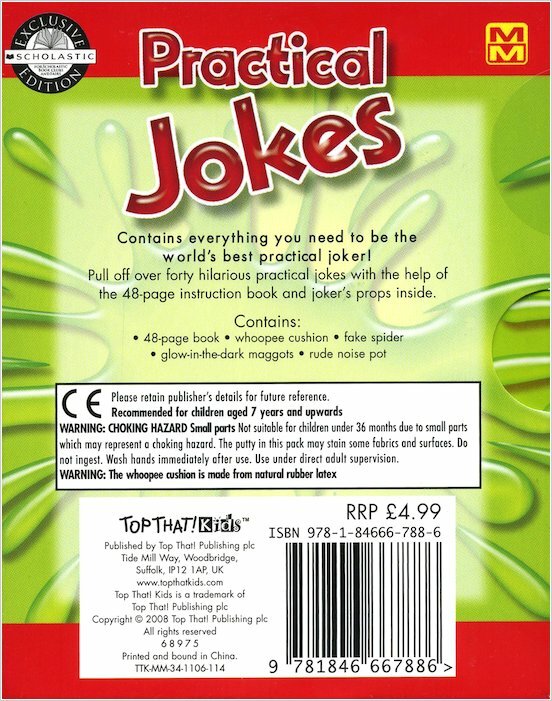 I think this book is okay because when you prank your friends it is funny and hilarious. However, after a while it gets boring when you play the jokes on your friends because they will already know the trick therefore it is only good for a short period of time.